1968 Sara Lidman’s and Odd Uhrbom’s book Mine was published. It is a book about the conditions in LKAB’s mines at Svappavaara, Kiruna and Malmberget. 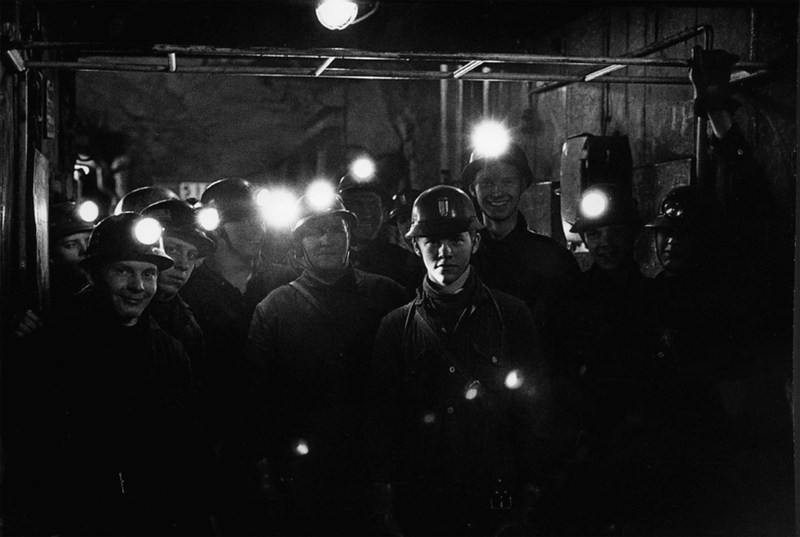 The year after the book was published, the miners went out in wild strikes. The strikes were not sanctioned by the local trade unions or LO. Through the book Mine and the strike Sara Lidman and Odd Uhrbom became involved in the miners’ struggle for better working conditions and human values. Odd Uhrbom was the initiator of the project Mine and his pictures speak a clear language: we understand that there were reasons to pay attention to the miners’ working conditions and environments. Odd Uhrbom’s photo series from 1967 consisted initially of 40 photos. The book includes 24 of these photos. Now, 50 years later, 19 images are shown in the Uppsala Art Museum’s collections. They are both historical and still up to date. In the Uhrboms images, we see the human being. In his lecture, Uhrbom will talk about his exhibition and his over 50 years experience as a photographer. Odd Uhrbom was born 1941 in Norrköping, and lives in Uppsala since 1971. He was trained at “Fotoskolan vid Kursverksamheten, Stockholm University” by Christer Strömholm, and at “Folkhögskolan” in Skinnskatteberg. Uhrbom had his breakthrough with the book “Mine” that he co-published with author Sara Lidman in 1968, about the conditions for miners in the LKAB mines in Malmberget, Kiruna, and Svappavaara. The book was widely recognised and is considered to have had influence on the wild strikes among the miners in 1969. Uhrbom has also portrayed people’s dire situation in, for example, Afghanistan and Jordan in his pictures.